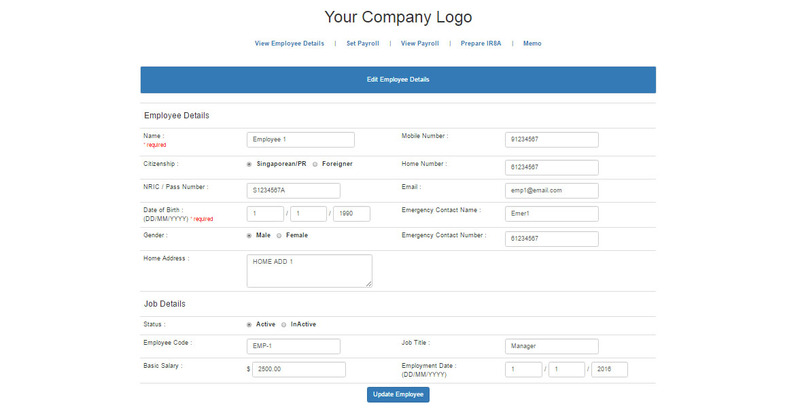 Payroll System suitable for all SMEs to generate monthly payroll slips. Include CPF calculation for both employee and employer monthly contribution. Yearly consolidation for IR8A reports. 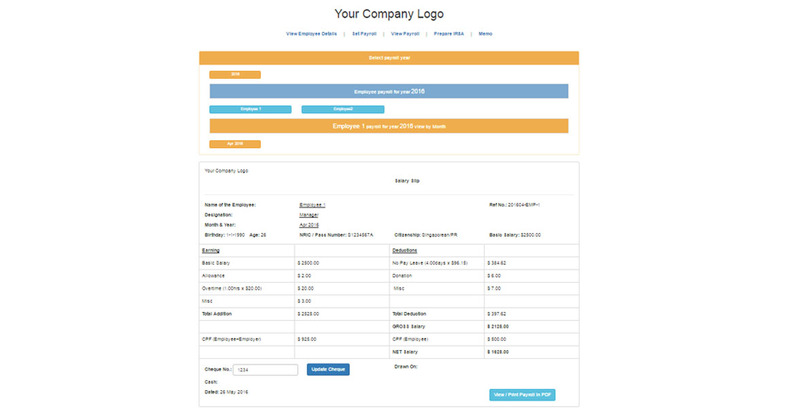 Payroll system is created by Jnetwork Website Design to ease SMEs workload when generating monthly pay slip for their employees. We have to admit, generating monthly payslip is a tedious but inevitable work for most SMEs who are facing now. We understand some SMEs are either using their in-house method (i.e. Microsoft Excel) when doing their monthly pay slip which is sometime too complicated or using expensive 3rd party pay slip software to do it. That's one of the main reason why Jnetwork have came out with the Payroll System to help to unload SMEs workload in an inexpensive way. 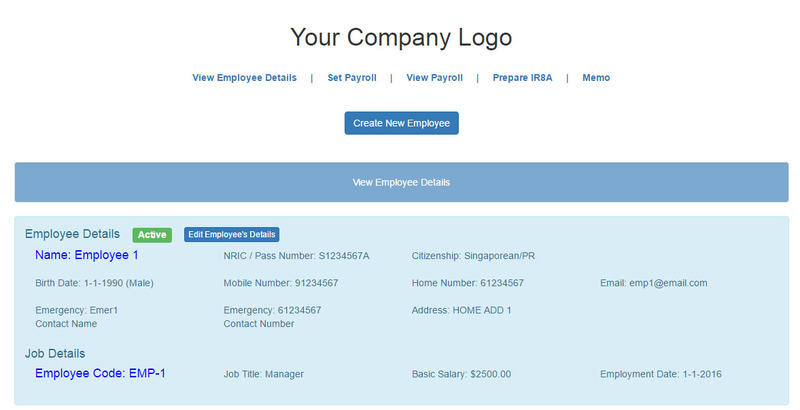 The Payroll System can be integrated in your currently website (use globally) or to build locally in your company server which, only your company administrators can access to it. Flexible formula for calculation of CPF contribution, overtime or performance bonus in each pay slip. 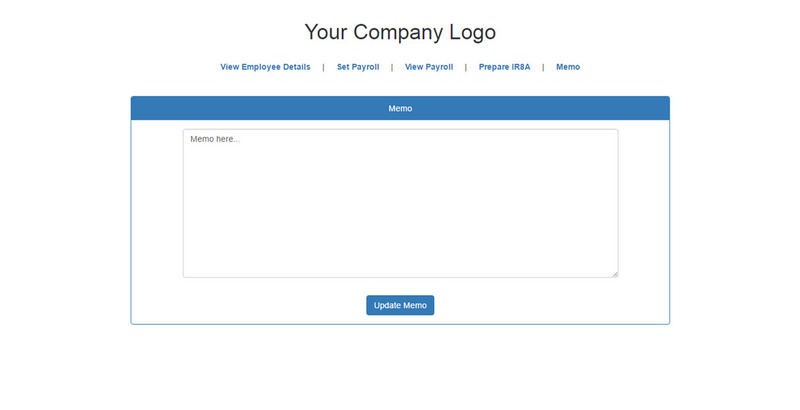 It is easy to use and can be fully customized for your company needs. For website integration, SSL certificate, which is the strongest encryption on the market will be installed into your website to keep your company database safe. 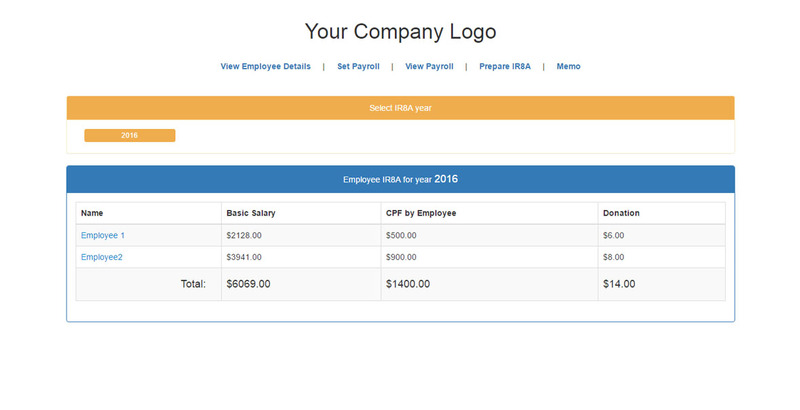 Administrator / Other User rights when assessing the Payroll System to limit the access rights for individuals. Other User will be only able to view their pay slips. Click here to try our demo now. Here are some of the fundamental functions you can have when using the Payroll system. Remember, it is fully customized to your needs. 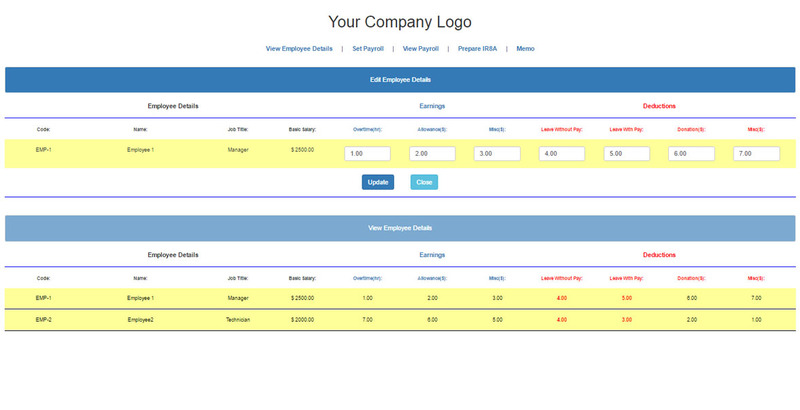 We will work with you to create an effective, efficient payroll system to your requirement.